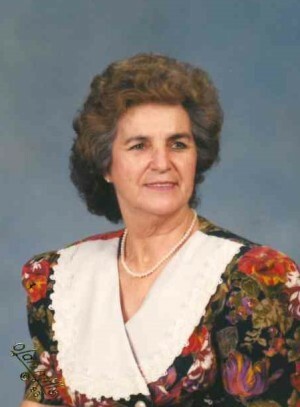 Obituary for Lou Esther (Kemmerlin) Browning | Thompson Funeral Home, Inc.
Lou Esther Browning, 84, of Elloree passed away on Monday, September 10, 2018. Funeral services will be held at 2:00 P.M. on Wednesday, September 12, 2018 at Jerusalem United Methodist Church, 7347 Old #6 Highway in Santee, S.C. Burial will follow at Jerusalem United Methodist Church Cemetery. Pastor Dustin Bates will be officiating. The family will receive friends from 1:00-2:00 P.M. on Wednesday, September 12, 2018 at Jerusalem United Methodist Church prior to the funeral service. Mrs. Lou Esther was born on November 17, 1933 in Orangeburg. She was the daughter of the late Eugene Kinard Kemmerlin and the late Gussie Cherry Smoak. She was a member of Jerusalem United Methodist Church. Mrs. Lou Esther was a former member of the Orangeburg Shag Club. She was predeceased by her husband, Laurie Lee Browning; her step-daughter, Kelly Browning, brothers, Eugene Kemmerlin, Jr., Jerome Smoak, Danny Smoak, Mike Kemmerlin, Kenny Smoak and sisters, Mary Lee Adicks and Nell Huiett. Survivors include her long-time companion, Mr. John “Woodie” Williams; children, Ralph Connor Hughes, Jr. (Rita), Don Louis Hughes, Darlene Bates (Mark), Laurie “Michelle” McCormick (Tim); step-children, Rusty Browning (Rhonda), Sherry Browning; a number of grandchildren and great-grandchildren; sisters, Louise Berry (Monroe), Peggy Halter, Nancy New, Betty Vandervort; brother, Tommy Johnson and a number of nieces and nephews. Friends may call at the residence of Mark and Darlene Bates.